We had a fantastic vacation last week with my brother- and sister-in-law, introducing them to some of our favorite restaurants and places for music. We also discovered some wonderful new places, too–I am still dreaming about the barbecue I had at The Joint. But after returning, I realized I had somehow neglected in that whole wonderful week to order one of my favorite things: gumbo. This had to be corrected. So last Monday, I picked up a couple of things after work, and set about making a nice big pot. 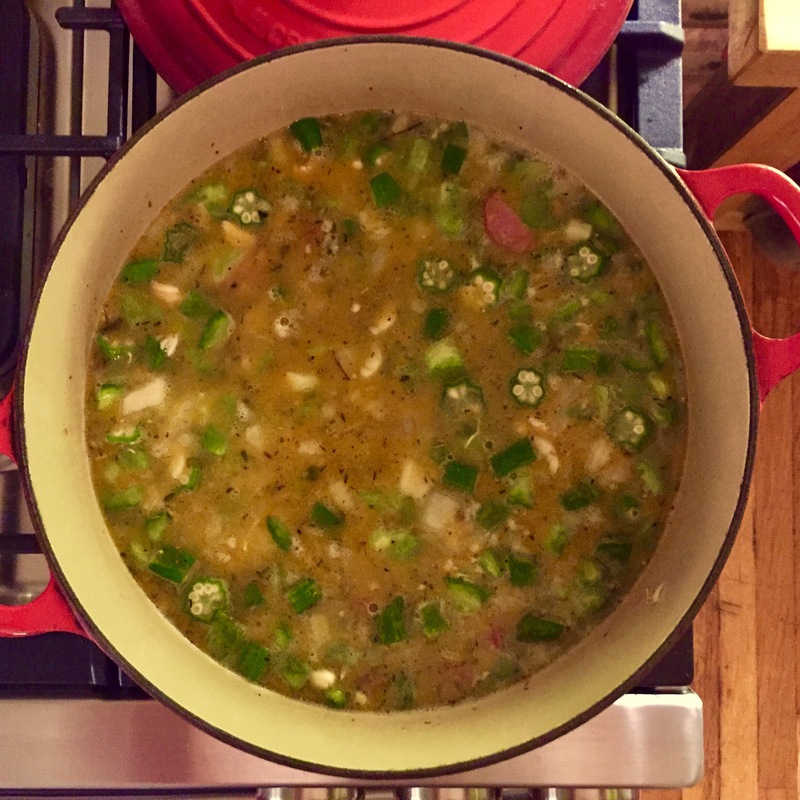 I make this every year for our annual Mardi Gras party (which we actually haven’t done for a couple of years because of kitchen renovations), and it’s a killer recipe. It’s easy, too, though you do have to take time with that roux, there’s no rushing that. Here’s the recipe, posted a few years ago.